If you remember a while back, I wrote a post about Flamingo Gifts and how much I loved their collections (you can see it here! ), Well, this time I’m gushing about their kitchen range even more! If you’re not aware of Flamingo Gifts, I’d suggest you take a good look as they are the perfect site for cute and quirky Christmas presents, or just a treat for yourself. Having just moved house, I got some items that I could add to my kitchen for a pop of colour and personality. 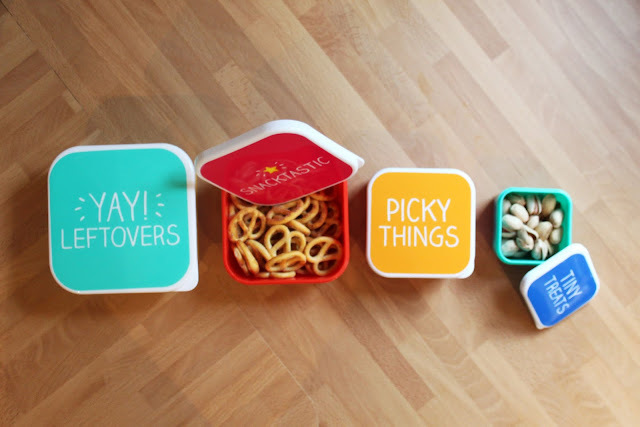 These adorable little tupperware boxes have become a firm favourite of mine in the past week or so, making their way to work with me every day filled with healthy (and not-so-healthy) treats. They’re the perfect sizes for small snacks such as crisps, fruit, nuts or dare I say it, chocolate! 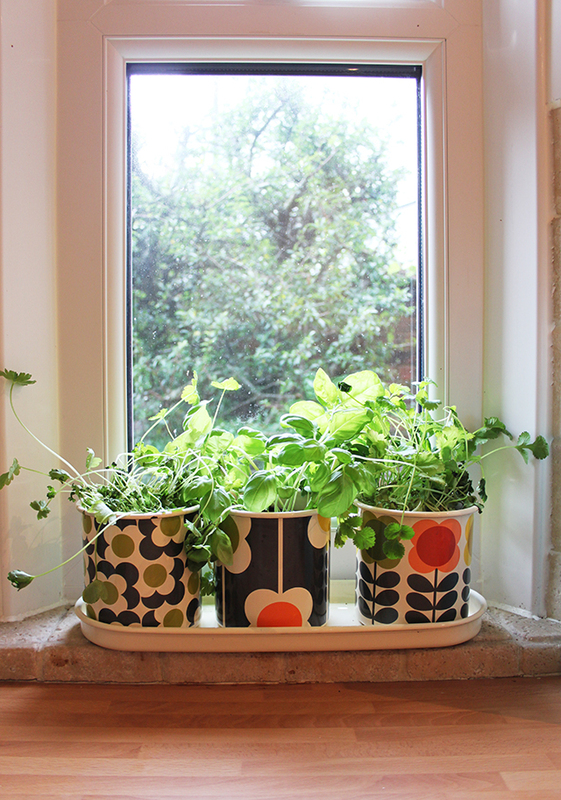 I’ve wanted some herb pots in my kitchen for a while now as we always use lots of herbs when we cook. These Orla Kiely pots complete with tray add a splash of colour to our little window, and fit perfectly in the space we have. I’ve filled mine with parsley, basil and coriander. Yum! How adorable are these? We have some lovely glass cabinets in our new kitchen that had a couple of empty shelves, and these are the perfect addition to fill the space. I’m thinking of using these to store baking goods such as flour, icing sugar and all the trimmings. 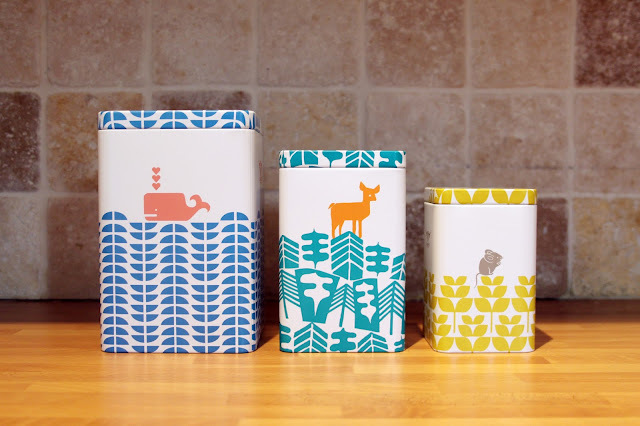 I love the prints on these and I’m already eyeing up the matching espresso cups for our coffee machine! Have you spotted anything you like over on Flamingo Gifts? I’ll be having a good look for a spot of Christmas shopping!